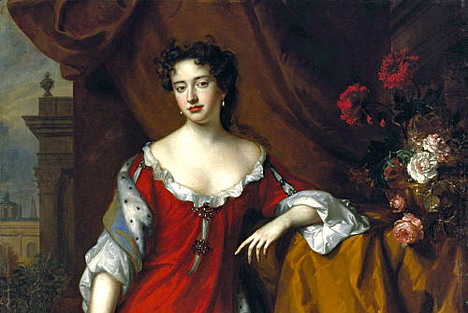 Queen Anne betrayed her father, who cursed her, and from that point on she started to lose her children – all seventeen of them. Why don&apos;t more people know that?! Anne was the second daughter of a second son, and was not brought up expecting to be queen. But her uncle, Charles II, died without any legitimate offspring, so her father became James II. And James alienated much of the British public by announcing that he was a Catholic, and marrying (as his second wife), an Italian Catholic. Their baby, Anne&apos;s much younger half-brother, was widely believed to be somebody else&apos;s child, smuggled into the birth chamber in a warming pan. Many Protestants, including Anne, had taken care not to be present at the birth (as was then customary), so the baby&apos;s legitimacy was easily discredited. Fearing rule by Catholics, many rallied to join an invasion, and rebellion, led by one of James&apos;s Protestant nephews, The Duke of Monmouth. Amid rising anti-Catholic sentiment, James (pictured) fled from England, taking his wife and baby son. And well he might: his own father, Charles I, had been beheaded. This left Anne&apos;s older sister Mary to take the throne (with her husband William of Orange). And when they died without offspring, Anne came next. James cursed Anne, and from then on her children started to die.